We don’t just train residents of low-wealth neighborhoods, we engage residents on multiple levels, working to build community capacity and completing hands-on projects that make neighborhoods healthier and more sustainable. GO is working to build inclusive, community-based solutions to local economic, health, and environmental problems. • Serving free, wholesome meals five days each week in Southside Kitchen. • Bringing the Y’s Healthy Living Mobile Market to the Edington Center every first Tuesday of the month to distribute fresh fruits and vegetables to the Southside community, through a partnership with the YMCA of Western North Carolina. • Jointly operating a community vegetable garden at the Edington Center, in partnership with local residents and community leaders. 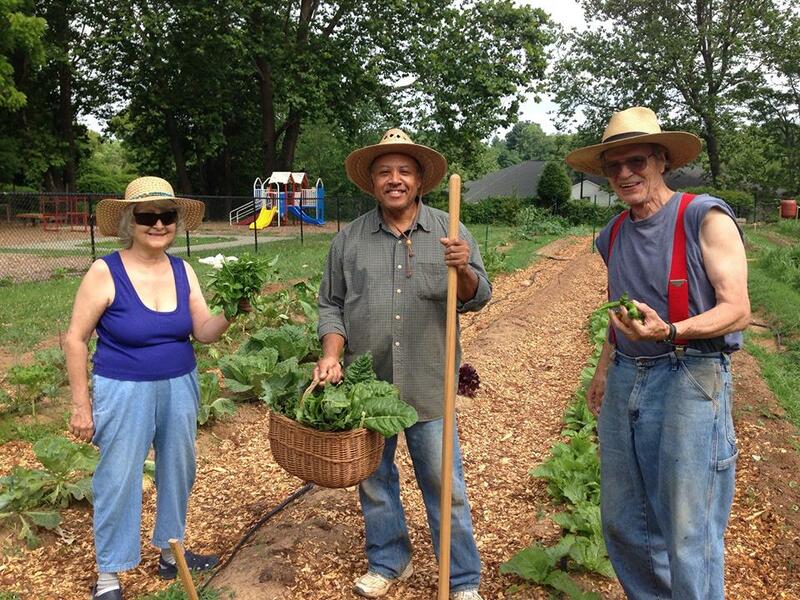 The Southside Community Garden–constructed in 2015–is currently operated by a coalition of community members from the Southside neighborhood and beyond. Produce from the garden is used by the GO Kitchen Ready program and distributed to local residents, food pantries, and garden participants. Visit the garden’s Facebook page for updates on workdays, community harvests, and events. • Co-hosting the STEP Career Resource Center in the Edington Center (room ML08), in partnership with A-B Tech. The STEP (Skills Training Employment Program) Career Resource Center is a place for local job seekers to gain one-on-one assistance with their job search, from writing a resume to practicing interview skills and completing online applications. The Career Resource Center is open Monday through Thursday from 9:00 AM to 4:00 PM. Contact Cynthia Conboy at (828) 239-3559 for more information. • Constructing and installing a pergola at the Hillcrest Community Orchard, in partnership with Asheville GreenWorks, the Housing Authority of the City of Asheville, and the Hillcrest residents. 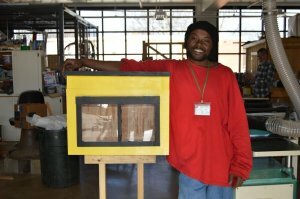 • Building Little Free Libraries for local schools, fire departments, and other public locations, in partnership with The POP Project. We believe that nonprofits can advocate as well as serve. While we work to prepare people for transitions out of poverty and joblessness, we also seek to address the social, economic and historical causes for those conditions.